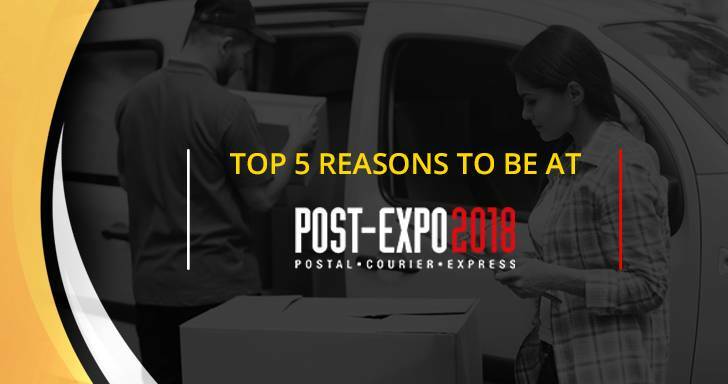 One of the world’s largest conference for the logistics & tech enthusiasts - Post & Parcel Expo - 2017 would present the trends around strategy, business and innovation - amidst a pool of postal, courier and express industry giants. In today’s world where we exist with the Amazons of the world and where drones and parcel-lockers have hit the industry before they were expected, business leaders today will not find any better opportunity to network with peers and learn the new -age technologies shaping up. With dot-coms and connectivity, commerce went beyond borders and the lines have blurred in between the countries. eCommerce players are delivering in the other countries in addition to their home turf. For instance, Zalora with a base in South East Asia serves customers across ASEAN. Mara Xpress, one of the trusted logistics providers helps e-commerce clients and its customers to deliver seamless deliveries across MENA with the help of futuristic solutions. 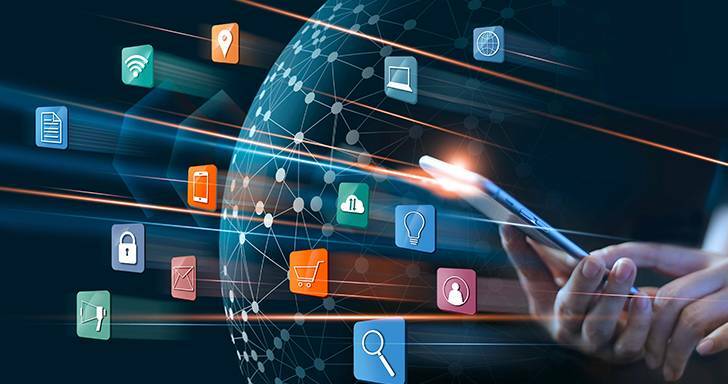 With customer experience becoming the new battleground, companies whether e-commerce, express logistics or supply chain are riding the digital tide and maximizing their efforts. See how mobility and new-age technologies are redefining the way companies deliver by making their last-leg ‘smarter.’ Here is the success story of Century Express, a leading courier company that went ‘digital’ with its operations to delight its customers: Click here! There is a humongous amount of data that is available everywhere followed by huge underlying opportunities. Smart analytics deliver business benefits - be it enhancing customer experience or making operations better. Companies today can orchestrate the data, comprehend their customer preferences and help in taking actionable insights. More on the best practices in the industry will be shared here. With AI gaining pace, businesses are rethinking and redesigning the way they operate and make their processes ‘smarter,’ by converting data into insights and getting ready for elastic logistics and elastic logistics. Planning to integrate artificial intelligence & blockchain in your logistics? Know how leaders are doing it? The world today is turning towards Blockchain, Machine Learning and Artificial Intelligence as it transforms the existing business models. It is an undeniable fact that these technologies would help automate and streamline logistics processes. But are the businesses are ready for the change with minimal disruption? Last-mile operations are undergoing huge transformation to help improve the delivery happiness score. Be it postal or express logistics, last-mile operations are changing the world with its technology. Success stories on the last-mile operations across the industry verticals will be showcased to help understand the business models better. New models that will be discussed include ePoD delivery, suggestions for re-scheduling deliveries, time-slot delivery and sustainable logistics etc. The dramatic change in consumer behavior has created a demand for integrated eCommerce portals and companies are giving flexible options to the customers, at the time of delivery. In many developed and developing countries, cash-on-delivery remains the preferred delivery options and integrating with digital wallets would be an added asset at the time of delivery. 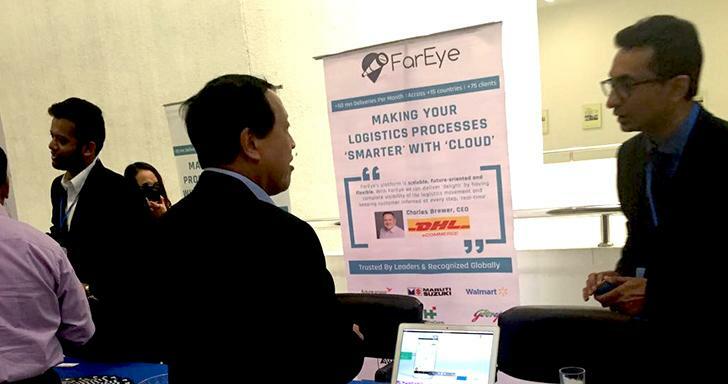 The potential of the cloud to support the revolution in Logistics can only be realized through the integration of daily operations with a cloud platform. By tapping into the power of real-time collaboration and networks, cloud platforms support innovative and disruptive applications and seep into the operations blending IT with the existing workflows. See you in Geneva to gain insights on Postal, Courier & Logistics industry and how the new technologies are helping companies drive efficiency, improve productivity and create new revenue streams! You can meet FarEye at Booth #2125. Connecting tasks, processes and people helps in changing the workplace and fostering innovation. With increased collaboration amongst the workforce you could see an increase in the productivity, rise in efficiency and quality of service. In today’s world where technology is dynamic, shoppers expect an open communication experience and live visibility of the order delivery. In a highly competitive market, the customer’s happiness score is very important for businesses. Players in the last-mile industry need to acclimatize to new industry landscape and not just efficient but intelligent last mile processes. Why is the demand for automation increasing? Automation is a buzzword now, where the involvement of field workforce is more. The motto of automation is to complete tasks faster with fewer errors at cheaper costs.